Most people with spinal cord injuries (SCI) want to work yet need support, training and vocational rehabilitation services to help them obtain and keep a job. These sources of support may help to overcome many barriers that are outside the individual’s control, such as financial and health care issues, accessibility, and employer attitudes. Work is important to people not only because they can earn an income and receive health insurance and other benefits, but also because it gives them opportunities to interact with others and improved self-esteem and overall life satisfaction. And although there is no cause-effect relationship, there are consistent findings in the research that people who are employed after SCI live longer and report higher satisfaction with life and better health than people who are not working. Although individuals with SCI can and do go on to have active work lives and successful careers, they have more barriers to overcome than those without disabilities. Federal and state laws and vocational rehabilitation services exist to help people with disabilities overcome these barriers. Passed in 1990 and amended in 2008, the federal Americans with Disabilities Act (ADA) prohibits employers from discriminating against qualified individuals with disabilities who are able to perform the essential functions of the job with or without accommodation. To be protected under this law, you must have a disability that limits major life activities. Nearly all people with SCI are protected under ADA. An employer must make “reasonable accommodation” to your disability if it would not impose an undue hardship on the business. Whether an accommodation is considered a “hardship” depends on the business size, financial resources, nature of operation and other factors. When you apply for a job, an employer cannot ask you about the existence, nature or severity of your disability, even if you show up for your interview in a wheelchair. An employer can ask you about your ability to perform certain job functions. If you feel an employer has discriminated against you, contact the U.S. Equal Employment Opportunity Commission (EEOC). Call to find the office nearest you, or go to http://www.eeoc.gov. Many states have powerful disability rights laws as well. The Individuals with Disabilities Education Act (IDEA) is a law that helps young people who have not yet finished their K-12 education receive the services they need to meet their academic and vocational goals and to ensure a smooth transition into adult life. Students eligible under this law may remain in school until age 22 if the extra time is necessary to achieve their goals. For more information, contact the U.S. Department of Education (800-872-5327) or visit the IDEA 2004 website at http://idea.ed.gov/. Vocational rehabilitation programs can help individuals with disabilities obtain employment. Through these programs, a wide range of services are available to help people identify their career interests and skills; acquire the relevant education or training; find and apply for jobs; and get work accommodations. For people who are covered under worker’s compensation (because they were injured on the job), a similar set of vocational rehabilitation programs are often available. Some private health insurance companiespay for vocational rehabilitation services. Check with your insurer to find out what services are covered. State vocational rehabilitation programsare funded (through federal mandate) to provide free vocational rehabilitation services for anyone with a significant disability that limits their ability to work. Services include all the steps in the vocational rehabilitation process described in this factsheet. State workers’ compensation programsprovide free vocational rehabilitation services for individuals who have been injured on the job. Vocational rehabilitation can take place at any time an individual with a disability needs help finding or keeping employment. If you are not working but are interested in finding employment, or if you are dissatisfied with your current job, you might try vocational rehabilitation. Your rehabilitation medicine physician can refer you to a vocational rehabilitation program, or you can find these services yourself by visiting http://askjan.org/cgi-win/TypeQuery.exe?902 for a listing of the State Vocational Rehabilitation offices. In many settings, vocational rehabilitation services are provided by rehabilitation counselors with master’s degrees who are specially trained to help people with disabilities find and keep employment. Finding satisfying employment means matching your interests and needs with the characteristics and demands of jobs. Being able to find and maintain employment will also depend on your abilities to meet the requirements of the jobs that are available in the job market or your current job. Your rehabilitation counselor will begin by helping you to evaluate your interests, skills, limitations, health needs, work and education histories, and even personality style. The counselor gets this information through interviews, questionnaires, medical information from your physician, and sometimes tests of academic aptitude and skills. Your counselor may also set up real life opportunities for you to find out more about various jobs. Your rehabilitation counselor may be able to set up a “trial” work situation for you with a potential employer for a specified period of time to see if you are able to do the job, if you like the job, and what accommodations you might need. These situations may be paid or unpaid. After the trial period, both you and the employer can decide whether it will be a good long-term fit. Part of the process may be assessing the job market related to various occupations. You may be interested in a specific job in a particular industry, but if that industry is declining or does not have opportunities in your geographic area, you might need to look into something different. Your rehabilitation counselor can help you assess the job opportunities in your area, as well as the wages, tasks, education preparation and other characteristics of occupations you might be interested in. The end-product of the rehabilitation counseling process is deciding on the specific career or occupation you want to pursue. This is your long-term goal. To get there, you may need to complete several intermediate steps along the way. These steps should be described in as much detail as possible in a written plan that you and your rehabilitation counselor create together. For example, you may need to finish high school or attend college to enter the occupation of your choice, or perhaps you can go right to work. 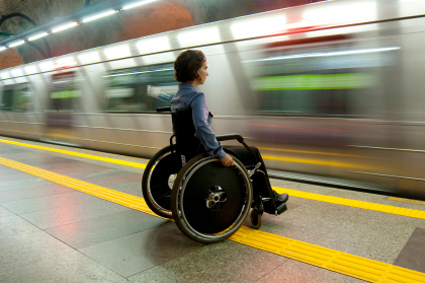 To do either, you may need to increase your physical endurance, find reliable accessible transportation and accessible housing, and manage your medical needs so you can meet the demands of a job schedule. After thorough preparation and planning, people with SCI often secure jobs on their own. Sometimes they need extra help, however. A rehabilitation counselor can help you determine whether a potential job would be a good match for you. He or she can conduct a job analysis to determine the actual kinds of tasks done in that particular job, the cognitive (thinking), social and physical demands of the job, and the need for accommodations. A job placement specialist can help you identify specific opportunities in your geographic area. Discrimination in hiring is illegal even if it is not intentional. Employers with no experience interacting with people who have disabilities may assume someone with a disability cannot do the work or hold down a job. In these cases, a rehabilitation counselor can step in and work with the employer to overcome prejudices and suggest accommodations that improve the employer’s comfort in hiring a person with a disability. You may need ongoing support and accommodations at work. Someone with high-level tetraplegia, for example, may need help with positioning or personal care assistance during the work day. These are typically not paid for by the employer, and a source of funding for this assistance must be identified in advance. Removing a desk drawer or raising the height of a desk with four wood blocks so a wheelchair can fit underneath. A private changing area for someone who may have occasional bladder accidents. Shifting work hours to a later start and end to the work day to accommodate a worker’s lengthy morning care needs. Sometimes people are reluctant to start working because they don’t want to lose their medical benefits under Social Security Disability Insurance (SSDI), Supplementary Security Income (SSI), or private or state long-term disability insurance (LTD). They may also be concerned about the extra costs of getting to or staying at work. Federal work incentive programs under SSDI or SSI allow people with disabilities to receive benefits and federal health care (Medicare and/or Medicaid) while still keeping some of their earnings from employment. This can be a powerful incentive for someone with a high-level SCI who has a strong desire to work but needs personal care assistance on the job, must pay for a van, and needs other services in order to work. Some LTD policies include vocational rehabilitation benefits or incentives to return to work. Sometimes it is not possible for a person to obtain any kind of work after SCI. This includes people who cannot earn enough by working to pay for their own personal care assistance and other disability costs. People who live in rural areas may not have access to transportation or employment. Older workers may not be able to transfer their pre-injury skills to a new occupation. In these cases, the individual can apply for disability benefits with the help of the rehabilitation counselor or other health provider. A person is eligible to receive disability payments from the Social Security Administration (SSA) if he or she is unable to perform any kind of work at a level of “substantial and gainful” activity and the disability is expected to last at least a year. Social Security Disability Insurance (SSDI)is a long-term disability insurance program funded by payroll taxes. Eligibility is based on your past work history and income. Newly injured individuals with SCI should apply for SSA benefits immediately if it seems likely that they will not return to work for at least a year. Sometimes there is a waiting period before starting to receive benefits. Once enrolled, a person is immediately eligible for either state Medicaid benefits or, after a waiting period, for federal Medicare benefits. If paid employment is not possible, consider getting involved in a volunteer activity. Not only can volunteering provide enjoyment and a sense of accomplishment, it can give you the skills, confidence and professional contacts that might eventually lead to paid employment some day. Johnson, K. (2009). Vocational Rehabilitation (pp. 715–722). In V. Lin (Ed. ), Spinal cord medicine: Principles and Practice. New York: Demos. Social Security Area Work Incentive Coordinators (AWIC) provide information about work incentive programs. You can find the AWIC in your area at https://www.ssa.gov/redbook/eng/resources-supports.htm. Employment after Spinal Cord Injury was developed by Kurt Johnson, PhD and Jim Krause, PhD, in collaboration with the Model Systems Knowledge Translation Center.